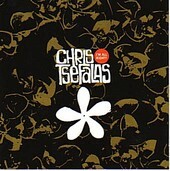 In Music We Trust - Chris Tsefalas: I'm All Right? Is it wrong to review a CD for the website of the label releasing the CD? Well, we're about to answer that question. The answer is: no. Is it a conflict of interest? Maybe, but journalistic integrity be damned! I need to make rent. But honestly, I'm all Right? is a rather honest, poppy and beautiful album that indicates a very good future for Chris Tsefalas. There is one problem with this album, though, it conjures to many similarities to another band, The Maroons. This is brought to the table by the inclusion of main Maroon man, John Moen (now drumming for Steve Malkmus and the Jicks as well as The Decemberists). As beautiful as Moen's touch to Tsefalas' songs are, you get the sense that Tsefalas needs a little more rawk and a little less pop. "I'm all Right It's OK", the album's opening track, gives us a glimpse of the potential Tsefalas has to rawk, before drifting into Pop Candyland during the chorus. "Sam am I" is another good glimpse into a future without Moen overshadowing Tsefalas. But one can see why working with Moen was so natural, both Tsefalas and Moen sing very dark lyrics enfolded in a pure pop sensibility. But where it differs is that Moen's lyrics are highlighted by the context of his sense of pop, and Tsefalas' lyrics get lost in the shimmering glare of his bright melodies. It needs more dirt, it needs more mud, it needs more rawk, and specks of this are seen across this otherwise pop gem. The dirty piano intro to "It's so Clear", the distorted slide of "A Wonderful Ride", and the gritty lead vocals of "Somewhere Else". Tsefalas has his foot out the door with this album, but we are waiting to see the rest of him. Hopefully, his next album will allow us that.